A Diamond Select Release. Designed and Sculpted by Gentle Giant. We know who all the Avengers are in the new Joss Whedon movie, but who are their foes? Kept tightly under wraps, we've developed an all-new 7" scale Marvel Select figure of one of them in secret, and now he's available for order. With 16 points of articulation and a detailed display base, this baddie will be the crowning jewel in any Marvel Select Avengers collection- buy multiples to give the heroes a real fight. 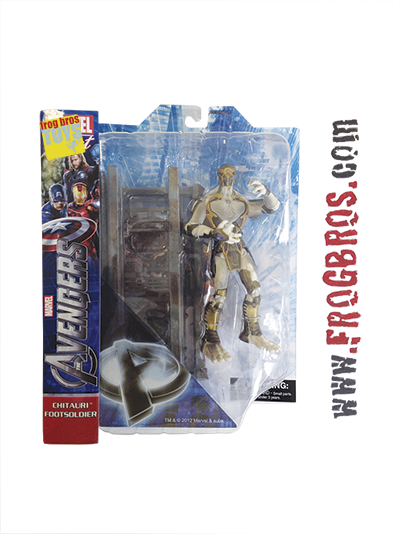 The Marvel Select avengers movie villain comes in oversized collector packaging.